Ancient poets also applied the forms of funeral laments to whole cities, “as if the city were a deceased person” in city laments.6 Jeremiah did this as he lamented the destruction of Jerusalem from which Lehi had fled (Lamentations). Centuries later, the Savior too would lament, “O Jerusalem!” (Matthew 23:37; Luke 13:34). 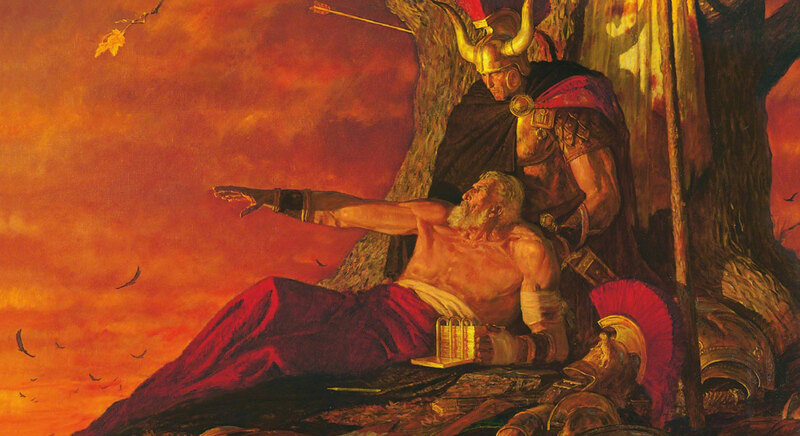 Mormon’s careful variation from traditional lament forms is important.9 He did not curse the Lamanites, nor even blame them for his people’s destruction, though that would have been easy to do. Instead, he recognized that his people had only themselves and their own wickedness to blame. So he warned that they would soon stand before God in judgment, and hoped for the best, trusting that God would judge “according to his justice and mercy” (Mormon 6:22). As for the descendants of those who were his enemies (the Lamanites)—he invited them to come unto Christ. 1. See F. W. Dobbs-Allsopp, “Lament,” in Eerdmans Dictionary of the Bible, ed. David Noel Freedman (Grand Rapid, MI: Wm. B. Eerdmans, 2000), 784–785. 2. Nancy C. Lee, Lyrics of Lament: From Tragedy to Transformation (Minneapolis, MN: Fortress Press, 2010), 24. 3. For more on biblical laments, see Lee, Lyrics of Lament, 73–179. 8. For a more thorough review of the traditional literary form that laments take, see Lee, Lyrics of Lament, 49–70. 9. According to Dobbs-Allsopp, “Lament,” 785, “there are several literary transformations” of the standard funeral lament in the Old Testament. So it is not surprising or problematic that Mormon breaks form. 10. The name Nephite may literally mean fair ones. See Matthew L. Bowen, “‘O Ye Fair Ones’: An Additional Note on the Meaning of the Name Nephi,” Insights: A Window on the Ancient World 23, no. 6 (2003): 2; Matthew L. Bowen, “‘O Ye Fair Ones’—Revisited,” Interpreter: A Journal of Mormon Scripture 20 (2016): 315–344.